According to 9's Today's Show poll this morning, 61% believe of respondents think that Kevin Rudd has more chance of going to heaven than John Howard. I asked the other day where the Nationals are? It's been so long we could be forgiven for believing that Joyce is the name of the leader not Vaile. In fact I had to look up the spelling of Mark's surname. Anyway, Vaile appeared on Kerry-Anne's show today and displayed his whip-cracking skills. Watch out Barnaby! 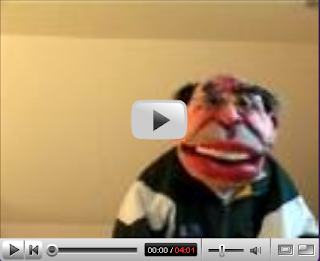 If anyone can find a video clip on the Web please use Comments to let us know. It was great to find out who the shadow Federal Attorney General is? You'd have to have been an insider to have known before yesterday. Rather than waiting for the electorate to make the decision for him, Kevin Andrews should resign from Cabinet now! If we believe the government, everyone but the politicians have made a mistake. Whatever happened to ministerial responsibility and political accountability. After the debacle of the AWB when no-one was held to account, Howard knows the answer to that. Ruddock should join Andrews. Who is responsible for the Australian legal processes - someone else's problem no doubt. What does an Attorney General do these days? It also seems that National Security briefings for the Opposition serve only to gag them. If the government can't refrain from verballing people in court, you can imagine how they spin their briefings. Whatever his reasons for resigning, Steve Bracks should be applauded for both the job he has done in Victoria and his decision to walk away from the addictive power game. Like Bob Carr he knows that you don't have to be the last to leave to know you enjoyed the party. Despite hypocritical accusations by the Howard government of his playing politics over the Murray-Darling, Steve fought the PM to the end. He has been an example of 'what you see is what you get'. Howard wouldn't know what that means. He should have pulled the plug years ago and got a life. If Labor wins the election this year, Bracks will have played an important role in showing that Labor has a better way than the divisive and heartless approach of people like Jeff Kennett and John Howard. I have always thought of John Howard as a kind of home brand politician - the cheap copy of the main players. His idols are clearly Churchill, Menzies and Bush jnr. He is a warmonger because he sees that as statemanship Winston style. He couldn't copy Ming on this one - his WW2, Suez crisis and Vietnam records were too abysmal. He is a cricket tragic in Menzies style except that Bob watched the MCG test each year. Howard's bowling is a real giveaway. Did he jog before Clinton made it popular for pollies? Finally, he must admire George W's refusal to ever admit that he is wrong. Remember Johnny's assessment of our involvement in Iraq, "It will be months rather than years." It is a pity that the generic version costs Australia so much. I hope this post isn't seen as playing the man rather than the ball. Howard's motivation for his actions is not always clear but the results affect us all. The personal is political. The media cannot have it both ways. Kim Beazley and Simon Crean were supposed to have no policies and be too similar to John Howard. There wasn't enough difference between the leaders and the parties. Beazley was too careful and cautious. Ironically, Latham was presented as too impetuous and erratic. He took too many chances and fell into the PM's traps too easily. He took radical positions such as the forests policy which were not vote winners. Presumably they want Kevin Rudd to commit political suicide. Now even Howard is joining the tweedledee/tweedledum critics. On the one hand, he rants that we face the apocalypse with "madness" and "chaos" ahead of us if Labor's Industrial Relations policies are implemented. On the other we will have a Rudd government which will not change the fundamentals of the Australian consensus. Is Howard arguing that Rudd is just as sneaky as him? It is a dangerous game as Howard could add to the perception that Rudd is a safe alternative. This election is not about who can take the most tumbles or forget the most names. If you feel that it's time for a change, please leave a COMMENT below. 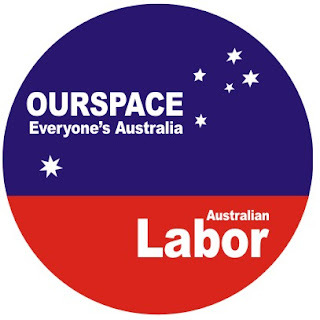 Thanks to John Cumbers from the Darling Range ALP branch who are planning to produce hard-core badges for the campaign. Keep your entries rolling in - that dinner in Broome is still up for grabs! 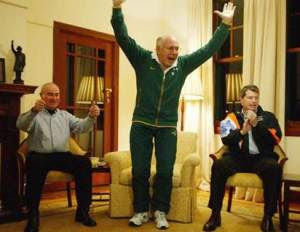 On a more serious note John Howard is in Kalgoorlie today. We need to make sure that we stop his plans to sneak back into power by holding on in WA. If industrial relations is his chosen weapon in the West, then we should all add the Your Rights at Work website to our bookmarks and spread the word wherever and whenever we can. Let's not ignore the elephant in the room like we did in 2004 with interest rates. Please click on COMMENTS below to leave a message or read others' opinions. The first political graffiti I remember was near the Balaclava train station in Melbourne attacking Bob Menzies. It was years before I learnt what pig-iron was. We just send the ore north these days. Railway bridges were the original plogs. From the little we heard on ABC radio during our trip, it wasn’t a great week for our morally overdrawn Howard government. How many times do they expect to get away with cynically manipulating our legal and political processes. Why can’t I warm to Kevin Andrews? For some leftie perspectives on Kevin visit stoush.net. It is the year of the Kevins, just not this one. From a cursory glance it appears that the PM’s vidcasting debut on YouTube was a classic case of shooting yourself in the foot while it's in your mouth. Apparently John is a 4-letter word for the Web generation. Some of the parodies are less than subtle but I am sure that we can laugh the Libs out of office. Click here for the latest killerspudly video “Search for a Scapegoat 3” and/or visit the Ozin30seconds website and vote for your favourite. Speaking of the coalition where are the Nationals these days? One WA candidate has been touting the global warming credentials of the Nats. You have to admire the gumption or is it just a case of being reality challenged. You know there is an election around the corner when your local Federal Member sends all his electors a fridge calendar in mid-July. In this case it was the member for Kalgoorlie, Barry Haase. The main date on his mind must be election day. He’ll have to do better than soliciting votes and campaign workers with last year’s magnetic giveaways. Time’s up! Watch this space tomorrow for the first Labor Badge competition winner. It’s time for you to enter. I am heading bush for about 10 days. No media, no internet, no worries! Thanks to the visitor who recommended OZin30Seconds. There is even a video about Howard's Broome holiday. As a starter to hours of fun, try "Howardism"
All good campaigns need a badge. 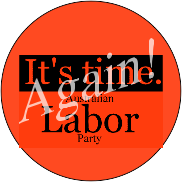 Enter your version in the Labor Badge Competition by e-mailing me at kevin.rennie@bigpond.com. All legit entrants will receive a hard copy of the winning badge. If you want copyright please let me know as I'll post the best on this plog as I get them and Labor supporters can choose which ones to use in their e-mail, websites and blogs. I apologise if I have inadvertently infringed any of their copyrights or trademarks. Winning entrant will receive a free meal at the restaurant of their choice in Broome. Travel not provided. I have had an interest in the numbers game, Psephology, for a long time. It is linked to another ‘-ology’ interest, the study of word origins, etymology. It is derived from psephos, the peeble used in ancient Athens for voting. Ever been blackballed? The abacus is a mixed metaphor. So what does the raw data from 2004 tell us? Two-party Preferred was ALP 43.70% – LP 56.30%. Swing required: 6.3%. If a national swing is on, this is a marginal seat. Informal vote: 5.34%. This is too high. Turn out: 83.53% of those enrolled compared with 94.32% for all of Australia. The difference is nearly twice the required swing! Preferences: The flow from the other candidates was weak, including from the Greens. It was 58.75/41.27 against the ALP, worse than the final result. The lower Greens flow may have been caused by the donkey-vote factor as Barry Haase was directly below their top position on the ballot paper. If Labor is to defeat John Howard, it must pick up seats in Western Australia. 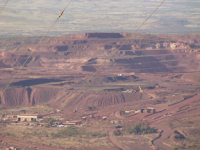 It cannot concede any marginal seats, especially not a traditional one like Kalgoorlie. Getting people enrolled and getting them to vote are clearly priorities for this electorate. More fear and loathing on the campaign trail. Howard and Nelson are trying to make Iraq a security issue for the election. Another senior US Republican Senator Pete Domenici has called for the withdrawal of troops by next March, making the third to do so recently. Bush and Howard are becoming increasingly isolated in their stick it out at any costs approach. The latest terrorist attacks and their Oz connections remind us that the disaster in the Middle East is not simply about evil people who hate us. The last six and a half years under Bush have taken us further away from resolving the Palestine-Israel conflict. Nor have the Howard policies made Australia a safer and more secure place. How any Liberal Defence Ministers does it take to change a light globe? Answer: Just one, to spin the bayonet. We need a few laughs. I get mine from killerspudly on YouTube. Click here "Search for a Scapegoat" to view the latest video. Try http://www.youtube.com/user/killerspudly for the rest. After the last 2 weeks of the Howard government, let's hope we have the last laugh. Surprise! Oil is and was a reason for our military presence in Iraq. This was reinforced by the Prime Minster later. It’s good to know that it’s not just about selling wheat! At the time of the 1967 Middle East war, I was discussing with my uncle the reasons for what appeared to be an insoluble conflict. He argued that there would never be peace in the region as long as there was oil. Not just so that the West could continue to control the supply of cheap fuel. To pay for the increasing imbalance of trade the US and its allies needed to sell something in return: Arms! Hence the need for a regional arms race based on selling increasingly sophisticated weapons systems to all sides. Remember the Iran-Iraq war? A simple formula except that now it is not just the countries of the Middle East who are spending a large part of their national income on the military. Australia is nearing the top of the list. How many times do we have to invade this part of the world in the name of liberating its people? The lighthorse has been replaced by the SAS but we are no closer to peace in the Middle East. Minister Nelson accused Kevin Rudd of being out of touch on defence. As one of the bullyboys (as Mal Brough referred to his opponents recently) Nelson’s is not a soft touch. Perhaps the price of fuel is looming as an election issue. Another dose of fearing and loathing on the campaign trail. Ironically, despite all the analogies, Iraq is not another Vietnam, it is Gallipolli without an honourable retreat. Yesterday I did not include any analysis of the current invasion of the Northern Territory because I was still too angry. In April this year I attended the Year 12 Graduation for 11 Maningrida Community Education Centre students who completed their Northern Territory Certificate of Education at their Arnhem Land school. It was the third year students have graduated and more than 500 members of the community attended. In addition three aboriginal staff members were awarded Certificate III in Indigenous Education by Batchelor Institute of Indigenous Tertiary Education. It was a good news story that the Federal government was either unaware of or chose to ignore. Like all Australian communities Maningrida has the kind of problems we hear about everyday yet it has been ignored by Howard and Brough and their Federal colleagues. They did not even comment on, much less visit, the community after Australia’s most severe cyclone, Cyclone Monica, hit Maningrida in April last year. Both ministers Brough and Costello were in the NT in the following week and are condemned for their silence and lack of support. "The Herald repeatedly contacted the office of the federal Indigenous Affairs Minister, Mal Brough, to discuss help for the area and ask if he intended to visit Maningrida, but Brough had made no comment by last night. A spokesman said the minister regularly visited indigenous communities." We were still waiting for the visit in December. The latest truth overboard was when Howard compared the current situation in Australia with Hurricane Katrina that required sending in the army. This man and his hypocritical, arrogant government must go now. I have not felt so strongly about the direction of Australian politics since the Whitlam years. To borrow another political cliché, it is a time to speak, for us all. 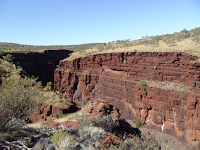 This blog is about Australian politics and the desperate need for a change of government in the national election later this year. Its bias and its intentions are clear. If you are living in Australia and have not been angered by the opportunist and bullying tactics of John Howard's government in its recent response to problems facing indigenous communities, this forum is probably not for you. With a strong economy the Liberal/National coalition politicians can't understand why they are behind in the opinion polls. I'm not interested in telling them. However, it is vital that all of us who want a change remind ourselves why they are on the nose with the electors at the moment. and that we voice our views loudly and not just leave it up to the professional politicians and commentators. The smell of complacency has been strong in recent months. Kevin Rudd seems a victim of his own popularity. If we are going to jettison Howard's cynical crew we must face the uphill battle for Labor this year. So back to basics! Why do we want to see Howard's defeat? The Iraq War! Why doesn't he get it? When he visited Vietnam recently Howard said he hadn't changed his views on the Vietnam war. Not one journalist asked him which part he thought they got right. The same question needs to be asked about Iraq. Is it just cold-blooded stubbornness? Do our troops have to stay there indefinitely because Bush, Blair and Howard made such a mess of the country that they can't organise a retreat or a settlement. Basic rights of Australians have become a joke and our government's treatment of refugees is beneath contempt. Work Choices: more work with less choice. Warming to global climate change: from denial to nuclear power in one easy sleight of hand. Nuclear is not a synonym for alternative or renewable. Like its policies for indigenous communities it is too little, too late. Lies, damned lies and statistics: Howard did not say he would keep interest rates at record lows. He let the ads do it for him and cunningly chose his words so he could worm out of it later. The polls suggest that the worm might have met the skeptical edge of public scrutiny. It is also time we had a real debate about what is happening in the economy. We have had 11 years of mediocre, backward-looking government. Those of us from old Labor who believed that governments can make a difference to people's lives, think it's time again.